This statistic presents a ranking of the online behavior most commonly labeled as online trolling according to internet users in the United States. 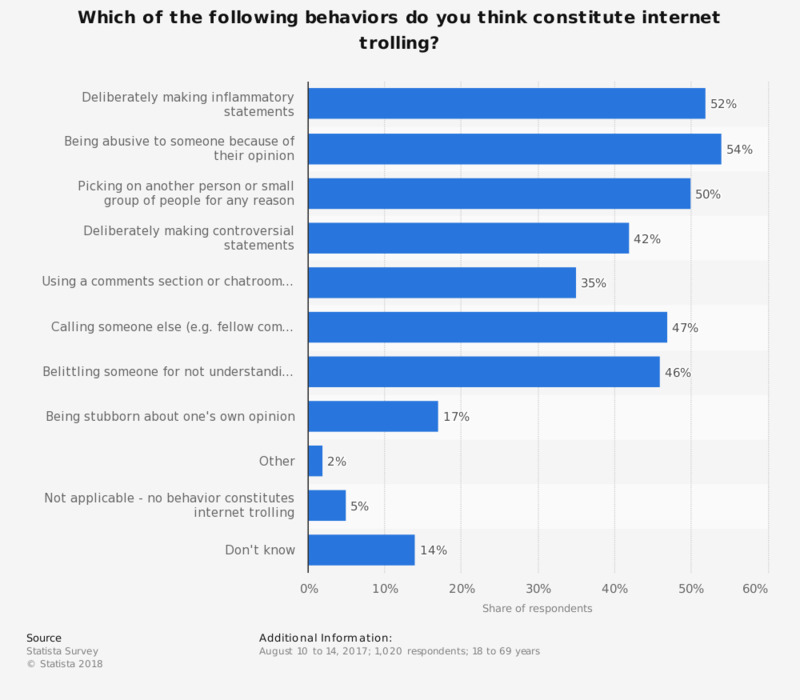 During the August 2017 survey, 52 percent of respondents stated that deliberately making inflammatory statements counted as as online trolling. Over half of respondents felt that being abusive towards someone because of their opinion was trolling behavior. Original question: Which of the following behaviors do you think constitute internet trolling?